Visual Studio Code>Linters>CSSTree validatorNew to Visual Studio Code? Get it now. 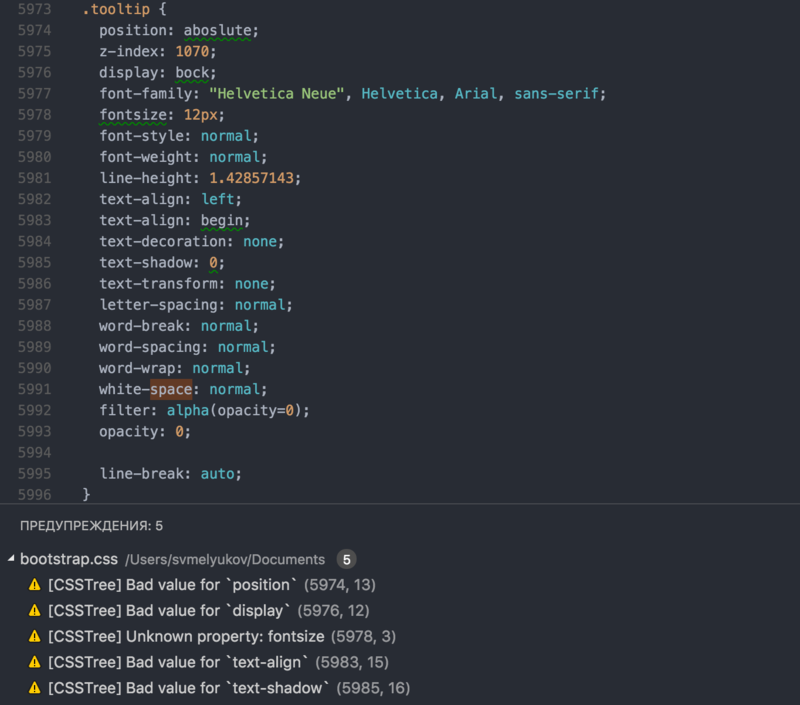 Validate CSS according to W3C specs and browser implementations. Extension highlights wrong properties and values when enabled. Just install the extension and open your CSS file. Validation will be performing in background. CSS validator based on CSSTree as plugin for VSCode.